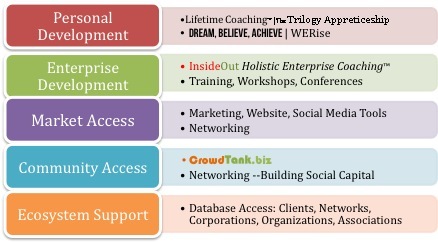 Launch Your EnterpriseAccess the 5-Pillars of Enterprise Success. According to the Freelancer Union, the self-employed workforce will be at least 40% of all workers by 2020. Our support services understands this growing trend. 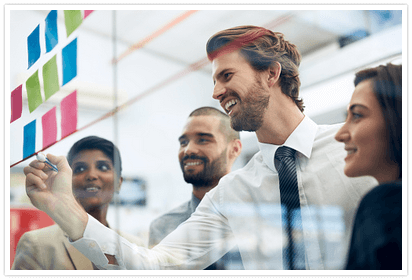 Become a member and start creating a business model that works for you! Starting a business requires a complete change in every aspect of life. Operating a microenterprise can be a daunting lifestyle on the job and at home. Owners need coaching to help them adjusting to new activities, strategies, and expectations in their lives. Access to the community for developing social and financial capital. Social capital is required to build customers and vendors. Without financial capital or money, most owners will not survive.